Indigenous educators in Waterloo region say they're still working hard to implement the enhanced curriculum, despite Ontario's cancellation of TRC curriculum writing and professional development sessions. Educators in Waterloo region say they're still working hard to implement the new and enhanced curriculum incorporating Indigenous history and culture, despite the province's move to cancel TRC curriculum writing sessions in July. Revisions to courses like social studies and history were made in Ontario last year and were expected to be implemented in schools September of this year. In July, curriculum writing sessions designed to consult with First Nations, Métis​ and Inuit people for the changes were cancelled by the Ontario government. The sessions were also meant to provide professional development to teachers and prepare them to implement the revisions. "Most teachers don't know the truth... so for most of them, it's hard to even know where to begin," said Colinda Clyne, the Indigenous curriculum lead for Upper Grand District School Board. "That's where the curriculum writing sessions were very helpful," she said. "Without that I think many teachers don't know exactly what they should be doing." 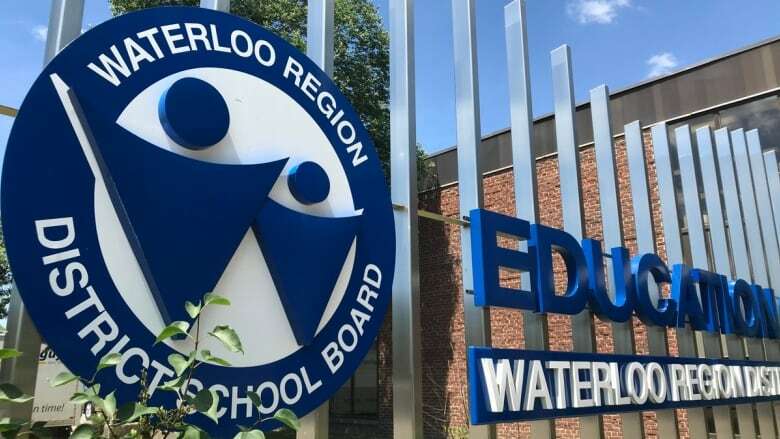 Nicole Robinson, the equity inclusion officer at Waterloo Region District School Board, focusing on Indigenous education, says cancelling the sessions made teachers feel unprepared. "They were feeling a little scared to delve into it without much knowledge," Robinson said. Despite the cancelled professional development sessions, Clyne said the UGDSB is still working with teachers to have Indigenous content incorporated in classrooms. She says she's been hosting workshops for teachers and principals, where Indigenous leaders and residential school survivors are invited to speak. In addition, Clyne brought in "knowledge keepers" to come into classrooms to speak to students, especially those in Grade 5 where the "content is heavy on first contact," she said. "There are initiatives happening, we're waiting to see where we're gonna go next," Clyne said. Tammy Webster, the Indigenous education lead for Waterloo Catholic District School Board, says they've also been trying to integrate more of the new curriculum into their classrooms. "Sometimes it's facts and figures, recently there's been more literacy," Webster said, adding that they're ensuring students read from Indigenous authors and writers. "Historically, teaching about First Nations, Metis and Inuit has always been kind of siloed into a certain subject area, but there's been a real push to have it integrated into all subject areas," Webster said. Robinson said the WRDSB is also implementing the enhanced curriculum in schools by supporting teachers with professional development events, lunch and learns, field-trips and one-on-one support. She said WRDSB encourages "more teachers to become acquainted with more Indigenous realities in Canada" so they can incorporate that into their classes. "No matter what classroom you go into, it's going to look a little different depending on the teacher's comfort with the materials and whether they feel supported with doing something new and something that feels a little out of their comfort zone," Robinson said. She said teachers can now also reach out to a central support hub at WRDSB if they need help to deliver the new materials, and so far, since September, they've had almost 70 requests for formal support. Clyne says she's been asking the Ministry of Education about the cancelled curriculum writing sessions, but so far "haven't heard anything" from them. "We've all been asking what's happening and it's all been silence," she said. "There's been no word at all. It's not just impacting Indigenous education, but other folks too." Clyne was the first one to break the news about the sessions' cancellations in July, posting an email she received from the provincial government on twitter. "I think it's really important that we're talking about the curriculum update and the responsibility that comes from the Ministry of Education to make sure that happens because we cannot change curriculum ourselves as educators. We don't have that authority," Clyne said. In an email statement, the Ontario Ministry of Education says they "worked with partners from across Ontario to develop age- and grade-appropriate supports for students and educators, to help with the learning around First Nation, Métis and Inuit perspectives, cultures, contributions and histories, including residential schools and treaties." But Webster thinks "there is more work to be done." "We're just simply scratching the surface," she said. "It's like asking, 'What three things do I want people to know about me?'" "It goes deeper and it's much richer than that," Webster said. "It's about equity and understanding and having learners seeing themselves reflected and engaging in those conversations about past stereotypes and how they don't fit the new visions we have." "The beauty and the power of Indigenous people writing curriculum is we start writing our own stories... we start being able to engage at deeper levels."